Are You Doing Veganuary This Year? The start of a new year sees countless of you out there keen to start afresh and make positive changes for the 12 months ahead, whether it’s doing Dry January or challenging yourself in another way, like being vegan for a month. Veganuary is a charity that inspires people to try going vegan for the first month of the year – and hopefully the rest of it as well. There are all sorts of associated benefits from following a plant-based diet and if it’s your health you’re concerned about, you’re certainly not alone! Research indicates that health is the second biggest reason that people choose to go vegan, after animal welfare. It can lower your blood pressure, cut out cholesterol and reduce the risk of both heart disease and diabetes. You can also help make a difference to the environment by going vegan, halving your greenhouse gas emissions, prevent deforestation, reduce both pollution and water usage, and save wild animals from extinction. As for animal welfare, remember that each of us will eat over 7,000 animals over our lifetime so even if just one person stops eating meat and goes vegan, they’ll make a massive difference. 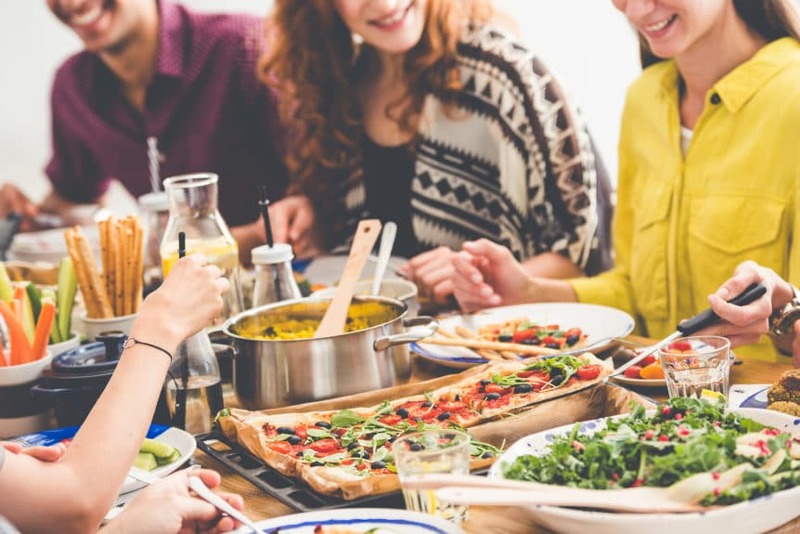 You might well have noticed that 2018 saw a real step change in attitudes towards food, with all sorts of vegan products becoming a star feature in some of the biggest supermarkets around the UK. We stumbled across this article on the iNews website, listing all the vegan food that’s already hitting shop shelves in 2019 – and we’re only eight days in. No doubt you all heard about the furore surrounding Greggs’ announcement that it was launching its own vegan sausage roll (it can’t be a sausage roll if there’s no sausage in it, apparently! ), but that’s just the tip of the iceberg lettuce, it would seem. But Greggs isn’t the only brand increasing its vegan offerings this month, good news for anyone keen to try Veganuary on for size in 2019. Marks & Spencer, for example, has launched a new Plant Kitchen range that includes a No Beef Burger, while McDonald’s now has a vegan Happy Meal on its menu… great news for the vegan parents out there. And you can now gorge yourself on a vegan pizza at Pizza Hut, or try out Waitrose’s vegan Fishless Fingers, which were launched to meet demand and are made out of tofu. When it comes to catering in Yorkshire, we here at Samba can provide you with delicious food tailored to any dietary requirements, so if you are keen to only provide vegan food on site or for your next event, rest assured that we can tick all the necessary boxes for you. If you’d like to find out more, get in touch with us today.